← Latest cartoon – Is the budget really going help those out of work? 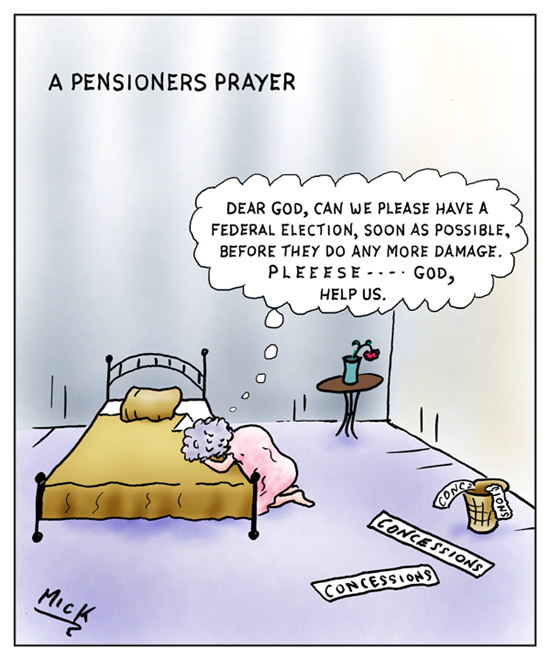 Posted on June 22, 2014, in Cartoon, illustration, humour, humor, caricature, political, art, Australia, Perth, cartoonist, Illustrator and tagged Australia, budget, Cartoon, election, Family, Government, humour, media, pension, pensioners, Political, Politics. Bookmark the permalink. 3 Comments. Both tragic and true Mick. Yes, the vulnerable are always easy targets for the soulless predicator.